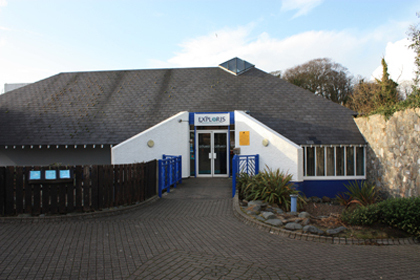 Exploris campaigners ‘Save Exploris‘ have issued a clear statement directed out our local and Assembly politicians, and anyone in a position of authority to assist in preventing the closure of the Exploris Aquarium in Portaferry. Exploris and the displays that have been developed over many years and the expertise of its aquarists are a regional asset that must be protected for current and future generations. This asset has a high conservation, education, tourism and socio-economic value which to date has had no regional recognition. It is also an invaluable communication and public engagement tool which has yet to be tapped into by Central Government. Exploris supporters and campaigners has set out their stall – they are calling on government to support and invest in Exploris. The Exploris Aquarium is a very rare type of aquarium. It draws its seawater from Strangford Lough with only filtering and no chemical treatment which, along with its construction, means it can create close to natural conditions and literally bring the wonders of our marine life and cameos of its many habitats to the surface. Seaweeds grow here which very few aquaria can achieve. This water supply is also why Exploris needs to be sited in Portaferry. By displaying Northern Ireland’s marine life in all its diversity Exploris illustrates a wide range of wildlife found throughout the UK and Ireland. Its role is not just rExploris Aquarium elevant to Strangford Lough but to the whole of our marine environment. The shared seawater pumping facility also underpins much of the ground breaking research work conducted by the neighbouring Queen’s University Marine Laboratory. The Marine Act Northern Ireland 2013 sets out a framework for marine planning that balances conservation, energy and resource needs. Under the Act, Strangford Lough has just been designated a Marine Conservation Zone (MCZ) and its management must have regard to relevant social, cultural and economic considerations. This means that more than ever the Northern Ireland government must inform and engage with the public in the Lough’s management – Exploris achieves half that battle by capturing people’s interest in the marine environment and providing a platform for engagement. EU legislation requires government to maintain the special conservation features of the Lough in good condition. Efforts to save one of those features ie M. Modiolus beds, has resulted in restrictions for fishermen and water based recreation. We, the public should understand why such measures are needed and government needs our support to implement them. Exploris can make the value of Modiolus reefs and other special features understood and meaningful to people. 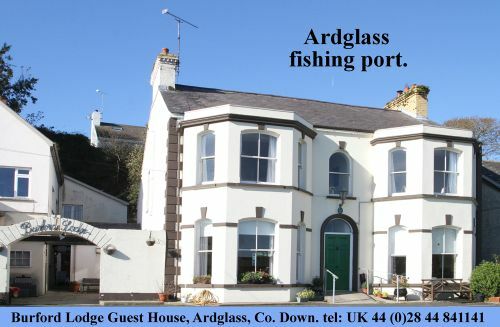 County Down is the focus of our fishing industry with the ports of Portavogie, Ardglass and Kilkeel. This industry and the work to integrate fisheries and conservation management and the quality of our seafood could and should be presented to the public through Exploris. With investment in new displays, innovative interpretation and activities, Government can use Exploris to present this marine life and the management challenges and embark on a programme to engage with stakeholders and the wider public. This would consolidate the investment already being made in this respect. Common seals are a designated conservation feature and the rehabilitation programme and expertise of Exploris staff could really help in the future if this species continued to decline. To close down the only rehabilitation centre in the country and lose the associated expertise would be folly under these circumstances and could, at a future stage, come under EU scrutiny. The seals themselves are an enormous draw for the public and for many people represent their most exciting encounter with marine life. Strangford Lough is a hub for cutting edge international marine tidal energy research and development, literally just outside Exploris. The work has put Northern Ireland on the global map yet there is nothing on the site to give people any information or to engage them with this success story. In addition, other projects like offshore wind turbines will need a venue like Exploris to explain their importance. How all this work develops into the future and how we meet national targets will require the people of Northern Ireland to make decisions which must be informed. Investing in Exploris is vital and it does not set a precedent. Government has invested in the Department of the Environment’s Coastal Zone in Portrush and the Lough’s Agency Riverwatch Centre in Derry / Londonderry . As a ready made high quality aquarium Exploris in a unique position to deliver on the opportunities for investment described above. It is a hugely successful one – attracting almost 100,000 visitors per year despite a need for marketing and updating and estimated to contribute £3m to the local economy annually. Its loss would damage many other enterprises in the area. It is also a marvellous marine-life showcase but with regional support it can really assist government to achieve many of its statutory obligations through informing and engaging the public in marine conservation, management and related industries. Exploris requires innovation and a new approach to its status and management to help it deliver even more under the programme for government, retain a regional asset and improve its public interface and financial performance . The Executive has a chance now to respond to the huge public support for Exploris. Most of the people visiting Exploris will have travelled to the area specifically for that purpose, using the Strangford Ferry Service. The ferry service will be impacted by the loss of income. Exploris is part of the rural regeneration and tourism infrastructure upon which many other projects depend for their business case. * Invest in Exploris to manage Strangford Lough, meet EU obligations and reduce the risk of infractions. * Invest in Exploris because of its performance for the area’s economy in line with Strangford Lough Tourism and Mourne Coastal Routes initiatives. * Invest in Exploris to address rural social deprivation (Portaferry is the seventh most deprived rural area in the region). * Invest in Exploris because it is already a proven success and by supporting it you are listening to the will of the people of Northern Ireland who want to retain it for future generations.